This conclusion will briefly address (1) the meaning of corporation sole status; (2); the problems with a “Church Establishment Affidavit; and the (3) alleged Benefits of the Corporation Sole Compared to a Traditional 501c3 Church. 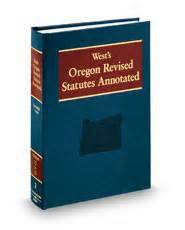 Oregon Revised Statutes Section 65.067. Click the above image to go directly to statute. ORS 65.044 TO 65.067, with which the corporation sole church has contractually agreed to comply, cover: 65.044 Incorporators; 65.047 Articles of incorporation; 65.051 Incorporation; 65.054 Liability for preincorporation transactions; 65.057 Organization of corporation; 65.061 Bylaws; 65.064 Emergency bylaws and powers; 65.067 Corporation sole. One can go to Sections 65.044 to 65.067 by clicking Oregon Revised Statutes, Oregon Non-profit Corporation Law, Volume 2 Business Organizations, Commercial Code § 65.067, 2013. The church non-profit corporation sole, like all corporations, is a legal entity whose authority for many purposes is the state. One can first create a “church” by use of a church establishment affidavit. However, if one does so, he violates New Testament church doctrine. The author of the Church Freedom and the Corporation Sole website claims that by creating a church by use of the Church Establishment Affidavit one can get around the problems of incorporation and also avoid the rules of 501c3 by proclaiming that the church is a 508 tax exempt church. That is all false. The affidavit cannot overrule the law of the creator of the corporation sole, the state (Oregon in this instance). The corporation sole church has accepted the state’s offer laid out in the non-profit corporation law of Oregon, thereby binding the church by contract, to that law. Nor can a church manipulate the Internal Revenue Service Code so as to do away with the speech restrictions of the Code by any scheme, especially the imaginary one concocted by the author of the Church Freedom and the Corporation Sole website. The 508 church is under the same rules as the 501c3 church. Fortunately, the authority over the matter has chosen, to this point, to not go against most churches who openly defy the rules that come with 501c3. The point is that the IRS, not the Lord Jesus Christ, is the authority who can choose to take jurisdiction and threaten the 501c3 or 508 status of a church who does so. See, for example, Church Internal Revenue Code § 508 Tax Exempt Status. The promoters of the corporation sole scheme are aware of the rules and the threat, and they try to convince “churches” led by the unstudied that their program will allow them to say and preach on subjects forbidden by the rules that come with 501c3 by the use of a Church Establishment affidavit in conjunction with 508 status. The Epistles of Paul develop the doctrine of the New Testament church. Through Paul, we know that a church is not an worldly organization, but a spiritual organism, and taken with all local autonomous New Testament churches, the body of Christ. Through Paul, we know the nature, purpose, and form of organization of local churches, and the right conduct of such gatherings. The Bible does not condone “creating” a church by use of a legal document such as a “Church Establishment Affidavit.” God said that the gates of hell shall not prevail against His churches. In other words, His churches would, in continuous succession and until the end of the church age, fight the spiritual warfare that He called them to fight. [Emphasis mine.] See, After Salvation, for more understanding of that warfare. Since the beginning of the New Testament church, there has always been a remnant of churches who carried on for the Lord. They were persecuted (burned, drowned, beheaded, tortured, etc.) first by unbelieving Jews, then by the Roman Emperors, by the established churches (Catholic and Protestant), and now by Islam, atheism (e.g., North Korea), Hinduism, Budhism, etc. ; but they were and are careful to maintain their continuity and order in spite of persecutions. They never persecuted, they never resorted to the use of a legal document for their creation, nor did they ever, like the established churches and others, twist the word of God to teach the false doctrine of union of church and state through non-profit corporation status or by any other means. One of their “earmarks” was and is adherence to the New Testament doctrine of separation of church and state which is recognized by the First Amendment to the United States Constitution. See Separation of Church and State and The History of the First Amendment. The remnant of New Testament churches in America are not presently persecuted for exercising their beliefs, including their belief in separation of church and state. A New Testament church in America may do things God’s way without persecution. New Testament churches will never “create” a church by using a Church Establishment Affidavit. Churches who incorporate (as corporation sole or otherwise) may as well concoct some scheme to “create” a church since they are organizing as legal entities and thereby displeasing the Lord by becoming legal entities under their civil government creator. However, most of those churches do not use a Church Establishment Affidavit, and they will make the same decisions as does the corporation sole church as to how to claim their tax exempt status. Any church may claim either 501c3 status or 508 status. Both 501c3 status and 508 status subjugate a church to the rules that come with 501c3; both recognize that the head of the church, as to some matters, is the federal government, and specifically the Internal Revenue Service. See Church Internal Revenue Code § 508 Tax Exempt Status; see also, God Betrayed/Church Corporate-501c3 Status: Union Of Church and State. The Benefits of the Corporation Sole Compared to a Traditional 501c3 Church page on the Church Freedom and the Corporation Sole website makes some ridiculous claims. Those claims are meticulously analyzed in Chapter 2: Analysis of “Benefits of the Corporation Sole Compared to a Traditional 501c3 Church.” An analysis of those alleged benefits reveals that they are total misrepresentations of truth. There are no benefits to the corporation sole method of organization over that of any other incorporated church who has either 501c3 or 508 status. The believer who is interested in pleasing God as to church organization needs to study that chapter, and all chapters, of this booklet. Should one not already have an understanding of the relevant Bible doctrines—the doctrine of government, the doctrine of the church, and the doctrine of separation of church and state—he can go to the resources on the Separation of Church and State Law website for a study of those doctrines. Check out all teaching by the standard of the word of God. Those who fall for the corporation sole scheme violate God’s precepts for New Testament churches and also fall for a scheme which brings no benefits that they would not otherwise have as “traditional 501c3” churches. One thing many individuals and “churches” do – they continue to give money to a con artist who displays no understanding of the relevant Bible doctrines or American law. May the Lord, through His word, lead you as you seek to glorify Him in all things. See the links at bottom for more details. Is the church who uses the method a spiritual entity only? Yes. If the church understands what she is doing and does not act legally in any other way. No. An incorporated church (includes corporation sole church) is a legal entity, an artificial person. No. An Ecclesiastical Law Center church is a legal entity since she holds or can hold property through a pastor. Only a legal entity can hold property. Is the church who uses the method a legal entity? No. Nor is the Bible trust used by the church a legal entity. Yes. Yes, the use of the method by a church makes the church a legal entity. In addition, the type trust used by the ELC church is also a legal entity. Does it give the state authority over God’s church? No Yes. Yes. Does the use of the method place a church under the Fourteenth Amendment? No. Yes (The church is an artificial person (a legal fiction)). Yes (The church is an artificial person (a legal fiction)). Is the church who uses the method under IRC § 501c3? No (If the Bible Trust church claims 501c3 or 508 status, she is no longer a church organized according to the principles of the New Testament). Depends: If the church so chooses, she is under 501c3. Since she has already compromised her New Testament status, she may as well get 501c3 or 508 status. -both place a church under the 501c3 rules Depends: If the church so chooses, she is under 501c3. Since she has already compromised her New Testament status, she may as well get 501c3 or 508 status-both place a church under the 501c3 rules. Is the church who uses the method under IRC § 508? No (If the Bible Trust church claims 501c3 or 508 status, she is no longer a church organized according to the principles of the New Testament). Depends: If the church so chooses, she can claim 508 status. Since she has already compromised her New Testament status, she may as well get 501c3 or 508 status. Depends: If the church so chooses, she can claim 508. Since she has already compromised her New Testament status, she may as well get 501c3 or 508 status. How is a bank account held? The trust holds the bank account, not the church. For the church to open a bank account makes the church a legal entity. The corporation holds the bank account. E.g., First Baptist Church, Inc. The Ecclesiastical Law Center Trust does not believe in church bank accounts even though the ECL church is already a legal entity. How is insurance held? The trust holds the insurance, not the church. For a church to hold insurance makes a church a legal enity. The corporate church holds the insurance. ? Who signs deeds to real property? The pastor/trustee of the trust signs deeds. A corporate officer signs deeds. The pastor/trustee of the trust signs the deeds. Who owns the real property? The beneficiary of the trust (the Lord Jesus Christ) is the true owner of the property in the trust estate. 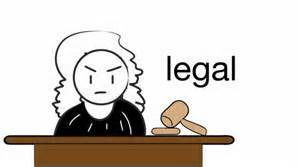 The pastor/trustee is the legal owner. The corporation (the church, inc.) is the legal and real owner of the property. The church through the pastor is the legal owner and the Lord Jesus Christ is the true owner of real property in the trust estate. Who holds title to personal property? The pastor/trustee of the trust holds the title as the legal owner of the property. The Lord Jesus Christ is the real or true owner of the property. The corporation (the church, inc.) holds the title as the legal and real owner of the property. The pastor/trustee of the trust holds the title for the church who is the legal owner of the property. The Lord Jesus Christ is the real or true owner of the property. [i] See, Spurious rationale for church incorporation: to hold property. This article compares the Bible Trust (not called that in the article) to church incorporation and explains how the use by a church of a Bible Trust comports with both New Testament and legal principles. [ii] See Critique of Church Freedom and Corporation Sole for full explanation of the church incorporation sole methodology. [iii] See Ecclesiastical Law Center Exposed for full explanation of the Ecclesiastical Law Center methods and obvious blatant misrepresentations of the ordinary (Bible) trust. 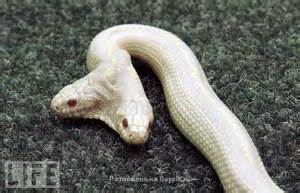 As shown in Appendix A, a corporation sole church is a non-profit corporation, a creature of the state. Let us look at the 501(c)(3) ramifications of this. Thus, according to Internal Revenue Code § 501(c)(3), corporations are exempt from taxation. A corporation sole is a corporation and therefore may apply for 501(c)(3) tax exempt status. (See Appendix A.). Some corporation sole churches do not like the rules that go with 501(c)(3) status. Therefore, they make the argument that, since they are not corporations, they may obtain Internal Revenue Code § 508 status, become automatically exempt, and not be subject to the rules that come with 501(c)(3). Their arguments are untenable because they are non-profit corporations. Yes, they, like any other church, may claim § 508 status; yes, they may become exempt under § 508; no, they, as § 508 churches, do not avoid the 501(c)(3) rules thereby. § 508 churches are subject to 501(c)(3) rules. Corporation sole churches know that they may have to go to court to defend their position. This is an admission that they are legal entities who are under the authority of the state of incorporation and the federal government as to Internal Revenue Code matters. Whether they admit this or not, it is a fact established when they accepted the state’s offer for state, non-profit corporation status and when they claim § 508 status. Since they are legal entities, creatures of the state, their only challenge to rules they do not like is through action in state or federal court. Should they be taken to court, for example by the Internal Revenue Service, they have agreed that the state is the final judge of the issue being litigated. The issue is one of authority. Those who love the Lord are willing to give their all if necessary as they refuse to follow lower laws when those laws conflict with the highest law. Millions of martyrs have followed the example of the apostles who said, when the authority of the Lord Jesus Christ was at issue, “We ought to obey God rather than men” (Acts 5:29). Internal Revenue Code Section 508. Click image above to go directly to 508. Some corporation sole churches try to argue that they are not corporations and therefore that they may claim Internal Revenue Code § 508 status which insulates them from following the requirements of 501(c)(3). They do not mind being a creature of the state under the corporation sole law, but they try to avoid being under the rules that come with 501(c)(3). What they are trying to do is attain government approved tax exempt status (as opposed to First Amendment non-taxable status) without submitting to the rules of 501(c)(3). They do not mind the fact that they are not organized according to God’s rules in the New Testament and that they are a creature of the state of incorporation. 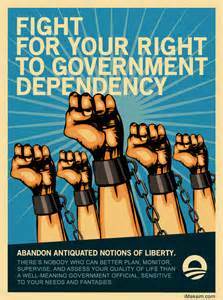 They wish to twist the law in order to get what they falsely perceive to be benefits without the rules that come with the “benefits.” Their effort is not according to knowledge. The IRS has already covered this matter. 508 churches are held to be subject to the rules that come with 501(c)(3). (See Church Internal Revenue Code § 508 Tax Exempt Status for a full explanation). Many non-profit corporation churches claim 501(c)(3) status without filing Internal Revenue Service form 1023. They do so in various ways One way is to include the provisions of 501(c)(3) in their corporate constitutions. Another is to simply acknowledge the exemption by giving acknowledgement to those who give. Even should a church not give acknowledgement, in the event of taxpayer audit, what the IRS wants to know is “what was given,” “did the taxpayer give in a manner prescribed by the IRS Code,” and “was the deduction given to a church (whether a legal entity or not.)”. Corporation sole churches who try to twist the law to keep their deductible status while avoiding the rules that go with exempt status show their true colors to God and to those who take the time to examine what they are doing. Perhaps they act and speak ignorantly because of lack of both Bible and legal study which renders the subject outside their field of expertise. What is a corporation sole? Who creates the corporation sole? The creator of the corporation sole defines its creation, just as God defines that which He creates, ordains, or establishes. The corporation sole is a creation of state law. Just as human beings are creatures of God, so corporations sole are creatures of the state. The proof?—the Oregon corporation sole statutes (reproduced below) which allow churches to accept the state of Oregon’s offer to churches to place themselves under state law and become corporations sole. Those statutes make clear that the corporation sole is a non-profit corporation which is under the law which creates it. Keep in mind that a few other states also create corporations sole. After studying this analysis, one who is heretofore unfamiliar with delving into this issue will be prepared to examine the corporation sole statutes of other states. “(1) An individual may, in conformity with the constitution, canons, rules, regulations and disciplines of a church or religious denomination, form a corporation under this section to be a corporation sole. The corporation sole is a form of religious corporation and differs from other religious corporations organized under this chapter only in that the corporation sole does not have a board of directors, does not need to have officers and is managed by a single director who is the individual who constitutes the corporation and is the corporation sole’s incorporator or the successor of the incorporator. Notice the first sentence of the above statute: “An individual may, in conformity with the constitution, canons, rules, regulations and disciplines of a church or religious denomination, form a corporation under this section to be a corporation sole.” A church may, as in the case of all non-profit corporation laws in America, form what? A corporation. The law says an individual “may form a corporation … under this section to be a corporation sole.” [Empahsis mine.] Under what? Under this section of the law, not under God. In conformity to what?–In comformity to the “constitution, canons, rules, regulations of a church or religious denomination;” not in conformity to Bible principle. A church corporation sole may be in conformity to the “constitution, canons, rules, regulations of a church or religious denomination” but it is not in conformity to New Testament church guidelines. Because a church may form a corporation sole under the statute, the state is only extending an offer which a church may accept. If the church accepts the offer, she has entered into a contract with the state. 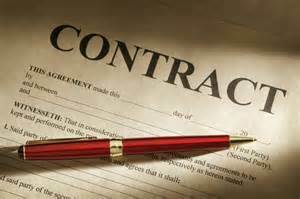 The basic components of a contract are offer, acceptance, and consideration. Consideration means that each party to the contract must receive a benefit. The state receives a benefit—control over the accepting church to the degree laid out in the statute. The accepting church believes that she receives a benefit—the contractual protections she perceives she gets from the law of contract. Never mind that she is no longer under the Lord Jesus Christ only—His power, principles, laws, judgment, and benefits are not enough for the corporate church. In fact, some of the laws of the state are deemed to be superior to the laws of God; this must be the case because the corporate church agrees to enter into a contract forbidden by the New Testament principles and many of whose conditions directly contradict those principles. Corporation sole churches and all other corporate churches should thank the Lord for his permissive will since they are no longer in His perfect will. 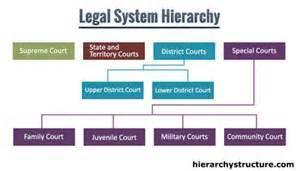 All law has a hierarchy (a line of authority). The authority of a given law depends upon its place in the hierarchy. For example, God’s law is the highest law. In America, the next highest law is the United States Constitution. Below that are state, county, and city, constitutions and laws, in that order. Oregon Revised Statutes, Oregon Non-profit Corporation Law, Volume 2 Business Organizations, Commercial Code § 65.067, 2013 is not the highest law of the State of Oregon. It falls below the Oregon Constitution, United States Constitution, all of which are under God’s law. One can challenge a lower law in the United States Federal or in the Oregon courts should he believe it is unconstitutional. Of course, as applied to churches, Oregon Revised Statutes, Oregon Non-profit Corporation Law, Volume 2 Business Organizations, Commercial Code § 65.067, 2013 violates God’s law. It also violates man’s law, the First Amendment, which is a statement of the Bible principle of separation of church and state. (See Is Separation of Church and State Found in the Constitution? and the resources cited in that article.). Instead of not accepting the state’s offer and perhaps challenging the statute on First Amendment grounds, many churches choose to accept the offer the state makes in the law. What about appealing the lawfulness of this Oregon law to the Judge of the Universe? 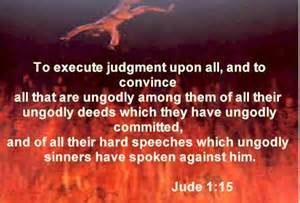 That judge, since He knows all things, created all things, and ordained all lawful powers, does not hold court in a secular manner. He operates outside of time and outside man’s temporal procedures. He weighs all the facts and judges from His throne. In some ways, churches suffer the natural, God-ordained consequences for violation of His laws. Sometimes, God decides to judge in the here and now through temporal means. Sometimes He reserves judgment for the final judgment day. One can determine the nature of the Oregon Revised Statutes, Oregon Non-profit Corporation Law, Volume 2 Business Organizations, Commercial Code § 65.067, 2013 by the words of the statute and by the immediate hierarchy: Oregon Revised Statutes, Oregon Non-profit Corporation Law, Volume 2 Business Organizations, Commercial Code § 65.067, 2013. The corporation sole is under Oregon Revised Statutes, Oregon Non-profit Corporation Law, Business Organizations, Commercial Code. Again, this shows that the corporation sole is a non-profit corporation. That is the only difference—the Oregon corporation sole is managed by a single director. Section (2) applies to the name of the corporation sole. Section (3) tells how the corporation sole is the same as other Oregon non-profit corporations: “(3) All of the provisions of ORS 65.044 to 65.067 apply to a corporation sole.” This shows that the Oregon corporation sole is a non-profit corporation and that “All of the provisions of ORS 65.044 to 65.067” apply to her. One can read Sections 65.044 to 65.067 by going to Oregon Revised Statutes, Oregon Non-profit Corporation Law, Volume 2 Business Organizations, Commercial Code § 65.067, 2013. It is clear that a corporation sole is a Oregon non-profit corporation created by Oregon Revised Statutes, Oregon Non-profit Corporation Law, Volume 2 Business Organizations, Commercial Code § 65.067, 2013. For understanding, please read the Introduction and Chapter 1: Legal Entity Status and the Corporation Sole and Chapter 2: Analysis of “Benefits of the Corporation Sole Compared to a Traditional 501c3 Church” before studying this chapter. As you read this chapter, you will note that my comments on some of the material on the Church Establishment Affidavit webpage below are answered, “I have already covered this.” You may find the answer by reading the introduction and prior chapters of this online booklet. This chapter will analyze the Church Establishment Affidavit webpage written by Joshua Kenny-Greenwood, Overseer of The Empowerment Center Church. Quotations from the webpage Church Establishment Affidavit will be in red. My comments. Yes, you are creating two legal creatures, but they are not separate which is made clear by the law and by the paragraph quoted above. Notice that he says, “Corporation Sole (which is nothing more than an incorporated office held within the Church for the purposes of managing all of the Churches assets and is NOT the Church itself). The incorporated sole office is held within the church for the purpose of managing all of the Church’s assets. It is also an office created by the corporation sole contract with the state, Oregon in this case. The Bible mentions no such office for a New Testament church. A church under God will comply with New Testament guidelines for the church. A church under the state, created by men, such as the church created by a Church Establishment Affidavit, will concoct its own manner of organization. Some will then publish that method and deceive others such that they contribute monetarily (of course, they are not required to donate) to the deceivers who help them profane God’s church through devices such as non-profit corporation sole and Church Establishment Affidavit which, among other things, defines the church according to the IRS defintion of a church. This man, Joshua Kenny-Greenwood, Overseer of The Empowerment Center Church, just makes stuff up, as I have pointed out over and over in this booklet. Hundreds of thousands of churches alone have been established under God, in Bible order, without a church establishment affidavit. Sadly, most American churches chose, against the will of God according to His word, to become legal entities such as non-profit corporations (which, as explained in prior chapters, includes the corporation sole non-profit corporation), unincorporated associations, charitable trusts, and business trusts; the vast majority of those went on to become 501(c)(3) churches. There is a significant remnant of churches in America who are doing things God’s way. Click to go directly to code. The church has engaged in an excess benefit transaction (See procedures in IRM 7.27.30.8). Any convention or association of churches. Should the IRS begin an inquiry and examination of a corporation sole church, or any other church which is a legal entity, they must abide by § 7611. Should the church lose in the agency process, she can appeal to Federal Court. Affidavits are not acceptable evidence in many agency and court proceedings. Generally, the adversary has the right to cross-examination. If a trial is required, affidavits will not be accepted. Witness evidence under oath and subject to cross-examination is the highest form of evidence and witness evidence will be required. Even should a church corporation sole be supported by affidavit, an affidavit is not subject to cross-examination and the IRS can subpoena the signers of the affidavit and place them under cross-examination. Since the signers have already displayed their ignorance by falling for the corporation sole scheme, they most assuredly would not look good under cross-examination by an experienced and studied government attorney. The IRS can also bring in other witnesses. See § 7611 for the areas the IRS can inquire into. This section is like the writing on this entire website, a disgrace in the eyes of man and God. It is similar to a written Frankenstein in that its author, Joshua Kenny-Greenwood, grabs quotes from all kinds of sources, out of contest, puts them together in a chaotic mess, adds hyperbole and falsehoods and presents it to the world as though he has created something beautiful. He is either a brilliant con man or an unknowledgeable person who does not have the requisite skills to understand what he is doing. The sad thing is, apparently, some pastors and churches fall for his scheme. I cover this in other parts of this booklet and in what follows below. Refer, for example, to the section “5. Analysis of Alleged Benefit # 4” of Chapter 2 of this booklet (Analysis of “Benefits of the Corporation Sole Compared to a Traditional 501c3 Church”). “26 USC 508(c)(1)(a) gives MANDATORY Tax Exemption to Churches without any pre-conditions (Unlike 501c3’s stipulations of barring religious organizations from all political activity). “Therefor, 508c1a has Jurisdiction over: Churches, their integrated auxiliaries, and conventions or associations of churches and any organization which is not a private foundation and the gross receipts of which in each taxable year are normally not more than $5,000. “A Church organized with the use of a Statutory Declaration Affidavit is underneath the jurisdiction of 508c1a. “While 501c3 only has Jurisdiction over: Corporations, Certain Trusts, Community Chests, Funds and Foundations. Source, Cornell Law University. You notice that the word CHURCH is completely absent from this list? Thats because Churches are NOT subject 501c3 rules, they are only mentioned in under the jurisdiction of 508c1a. It is generally misunderstood by most law professors that Churches are generally always under the classification of 501c3. This is a misconception because nearly 99% of all Churches are fully incorporated (thus fall under the Corporate designation of 501c3). Since a Church being formed through an affidavit and being declared under 508(c)(1)(a) is neither considered a Corporation, community chest, religious trust, fund or foundation, the same designation of a Church generally being under 501c3 DOES NOT APPLY. “Now, unlike 508c1a that gives the Church mandatory tax exemption, 501c3’s tax exemption status is only guaranteed if the religious organization meets the conditions set forth in 501c3. The government has jurisdiction over incorporated churches (including corporation sole churches). The same rules are applied by the IRS to both 501c3 and 508 churches. I have covered this in Church Internal Revenue Code § 508 Tax Exempt Status. You can go directly to the article, of course, by left clicking the link in the last sentence. 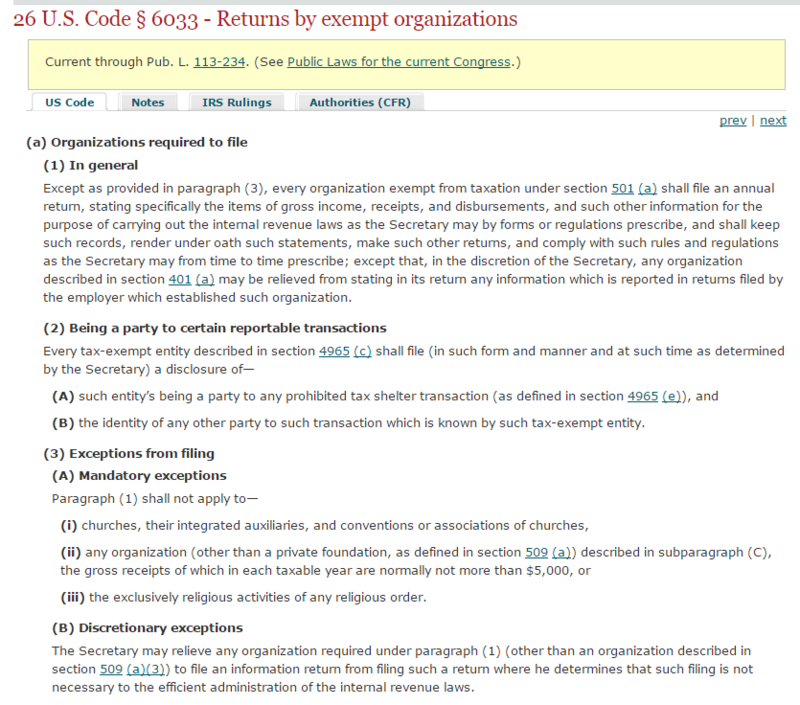 The IRS makes clear that the 508 church is subject to the same rules as the 501c3 church. Some 501c3 churches are publically proclaiming that they are breaking the rules of 501c3 and the IRS usually has not taken action against them. I wish the IRS had the resources to confront all 501c3 and 508 churches who break the rules. Why? Because all churches who are legal entities such as incorporated churches (including non-profit corporation sole churches) and all 501c3 and 508 churches grieve our Lord by operating under man’s laws rather than under God’s law. I covered the activities of the “Pulpit Initiative” churches several years ago in the article 1,000 Pastors who pledge to defy IRS and preach politics from pulpit ahead of election misunderstand the law and the hierarchy of law. That article will serve as my further comments here. “1.) Any individual may, in conformity with the constitution, canons, rules, regulations and disciplines of any church or religious denomination, form a corporation hereunder to be a corporation sole. Such corporation shall be a form of religious corporation and will differ from other such corporations organized hereunder only in that it shall have no board of directors, need not have officers and shall be managed by a single director who shall be the individual constituting the corporation and its incorporator or the successor of the incorporator. He says an active Oregon State Law § 65.067 (1) law, but quotes the 2011, as opposed to the 2013 amended law. Notice that the law he quotes does not require a Church Establishment Affidavit. Then, he adds his own statement: “All other religious organizations, religious trusts, community chests funds and foundations are subjected to this IRS rule and are legally required to have a board.” That does not prove that the corporation sole is immune to the 501c3 requirement. 501c3 has no such rule which requires any church to have a board. The Oregon Non-Profit Corporation Law can be accessed at the following link: 2013 Oregon Revised Statutes, Oregon Non-profit Corporation Law, Volume 2 Business Organizations, Commercial Code § 65.067. Read it for yourself. You will see that Joshua Kenny-Greenwood is wrong (to be kind). “This absolutely satanic law means your incorporated Church or religious trust CANNOT engage in or influence any aspect of public policy for any reason whatsoever. Completely defeating the intent of the Church achieving its purpose of fulfilling Romans 8:20-21. As has been shown and as is obvious from the law relied upon by the promoters of the church corporation sole, the corporation sole is a corporation provided for by state law. As such, it is subject to the rules that come with 501(c)(3) when it in any way appeals to either 501(c)(3) or 508. One cannot simply override reality by concocted rhetoric as the writings of Church Freedom and the Corporation Sole website purport to do. It lawfully fulfills ALL 14 Points both the IRS and courts require Churches to have in order to be legally recognized as a Church by the Federal Government. It distinctly declares the difference between the Church itself and isolated Office of the Corporation Sole (including the different responsibilities of each office). It uniquely declares your Corporation Sole’s intended future Successor and it defines who fulfills the role of its Secretary. It allows for two additional witness Church members to declare and affirm the existence of this said Church/Ministry. It declares its recognition of being under the law of 508c1a. It declares that it does NOT find it advantageous to seek official recognition from the IRS for the Churches tax exemption status and rejects the IRS’s form 1023. It removes all doubts and puts an end to any conflicting decision regarding your Churches existence. My comments. I have already covered everything of importance here in other portions of the booklet, but I will add a few comments here. Notice that the Affidavit defines the church according to IRS criteria, not Bible doctrine, so that the IRS will recognize the religious organization as being a church. In other parts of the website, the Empowerment Center recognizes that corporation sole status makes the church a legal entity, not a spiritual New Testament entity only. Hence, the corporation sole church obviously violates Bible principles for New Testament church organization. All church members of a New Testament church will affirm the existence of the New Testament church. In fact, the Lord Jesus Christ will affirm the existence of the New Testament Church; He will be pleased with the New Testament church. His precepts show that the corporation sole church is a religious organization, not a New Testament church and that He is grieved when a church organizes as any kind of corporation, including a corporation sole. The corporation sole status removes any doubts that the church is a worldly religious organization, not a New Testament church. When a church claims 508 status, that church does not fill out IRS form 1023. The 508 church is subject, as explained elsewhere, to the same rules and the 501(c)(3). In other words, the 508 church is under the authority of the Internal Revenue Service as to the rules which come with 501(c)(3) status. The Corporation Sole Scheme chains a church to the government, then she invites a fight with the government. No wonder no one had thought to do so. Obviously, the Lord Jesus Christ did not have Joshua Kenny-Greenwood around to help him build his church. The Lord established a reasonable order for His churches, not a chaotic order such as that proposed by Kenny-Greenwood. The Lord inspired the Apostle Paul as he, under the inspiration of God, laid out the ordered doctrine of the New Testament church. No wonder no one else thought of Kenny-Greenwood’s sham. It is so riddled with legal and spiritual error that only one with a fertile imagination and knowledge of neither relevant Bible principles nor law would have implemented it had they thought of it. This method also, as I have explained over and over in this booklet, places the corporation sole church of Joshua Kenny-Greenwood under the rules of 501c3. Furthermore, he again concedes that the corporation sole church is a legal entity (a non-profit corporation) since only a legal entity can be taken to court. Since she can be taken to court, the state (through the court) is her authority. She is bound to abide by the decision of her authority, the court. I have already covered the evidence needed in federal court above. Your church members could testify that the church meets the 14 IRS criteria. That is not the problem. They would hold your church to be a church. 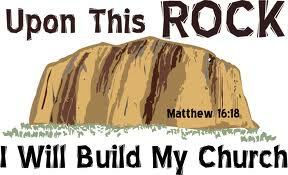 I know that the Lord Jesus Christ in His word proves that an Empowerment Center church is not a New Testament church. The problem is that your church is under and recognizes the authority of the state to decide questions brought to them. You have a hybrid church, with two heads – er, maybe only one head, the state. After all, you have defined your church according to the IRS rule book, not God’s rule book. Here, as in many other places, Joshua Kenny-Greenwood contradicts himself. Read it and figure it out for yourself. Kenny-Greenwood’s writings on this website are so ill-conceived and crazy that reading them leaves a knowledgeable believer who understands these matters with a spiritual headache. I would not continue this booklet if not for the Lord’s admonitions to his children to stand for truth, to fight the spiritual warfare that He has called us to fight. As to the quote from the ADF Pulpit Freedom Sunday’s, I again refer the reader to the article 1,000 Pastors who pledge to defy IRS and preach politics from pulpit ahead of election misunderstand the law and the hierarchy of law. He did not seem to be concerned about the giver when he wrote Benefit #8. I analyzed Alleged Benefit # 8 in Chapter 2: Analysis of “Benefits of the Corporation Sole Compared to a Traditional 501c3. Furthermore, the corporation sole church has no reason not to give an acknowledgement. It, as has been explained in this booklet several times, is a 508 church which is required to abide by the rules of 501c3. Church Freedom and the Corporation Sole has already lost because your scheme is not according to the Bible and not according to the law. Your incorporated 508 church is subject to the rules of 501c3. That has already been covered in this booket. Since the IRS does not have the resources to deal with every state church who is violating the rules of 501c3, they are not enforcing the law. You are grieving the Lord by organizing a state church (a legal entity). You did not have to so organize, but you did. You then try to twist the law to conform to your vision. The main thing is that your authority is the state. If the IRS wishes to take your church(es) to court for alleged violations of the rules that come with 501(c)(3), they can. They have authority over you. Christ does not wish His authority over His churches to be shared with anyone. Old Paths Baptist Church Separation of Church and State Law Ministry helps churches remain under God only. We can do this because we correctly understand Bible principle and law. Church Freedom and the Corporation Sole needs to study these matters out and trash their ill-conceived ideas and schemes. They are not according to knowledge, as this booklet has made perfectly clear. If Church Freedom and the Corporation Sole loves the Lord, then they need to study, grow in knowledge, understanding, and wisdom and repent. They need to contact all the churches they have helped, ask forgiveness, let them know the truth, and encourage them to trash their Affidavits, dissolve their corporations and organize according to Bible principles. For understanding, please read the Introduction and Chapter 1: Legal Entity Status and the Corporation Sole before studying this chapter. This chapter will analyze the Benefits of the Corporation Sole Compared to a Traditional 501c3 Church webpage. Quotations from the webpage Benefits of the Corporation Sole Compared to a Traditional 501c3 Church will be in red. 2. Analysis of Alleged Benefit # 1 – IT BRINGS RELIGIOUS FREEDOM OF SPEECH BACK TO THE CHURCH! That sentence is revealing in so many ways to the knowledgeable believer. As one goes through this analysis, he will discover whether the language declaring the benefits to be limitless is accurate or false hyperbole. The New Testament teaches that, in order to be in God’s will, a church is to be a spiritual organism under God only; that Jesus Christ is to be her only head; that God is the highest power; and that we are to obey God rather than man when man’s law contradicts God’s law. All this is covered in some detail in The biblical doctrine of government, The biblical doctrine of the church, and The biblical doctrine of separation of church and state. Those who already agree with the Bible on this may wish to go directly to Separation of Church and State to get a quick review of what a church incorporation is. (See Incorporation of churches). Remember that the analysis of church incorporation, for the most part, can also be applied to the corporation sole church: the few differences will be obvious and both Oregon Non-Profit Corporation Law and the article being analyzed here make clear the differences. The statute that establishes the corporation sole church as a legal entity. The article quotes the 2011 statute. Note that in 2013, the law was amended and can be accessed at the following link: 2013 Oregon Revised Statutes, Oregon Non-profit Corporation Law, Volume 2 Business Organizations, Commercial Code § 65.067. “Feed the flock of God which is among you, taking the oversight thereof, not by constraint, but willingly; not for filthy lucre, but of a ready mind; Neither as being lords over God’s heritage, but being ensamples to the flock. And when the chief Shepherd shall appear, ye shall receive a crown of glory that fadeth not away” (1 Peter 5:2-4). Supposedly, according to the article, “the Corporation Sole can bring legal deliverance to your ministry as a whole.” Does it really? I thought the Lord Jesus Christ was the deliverer of the church. 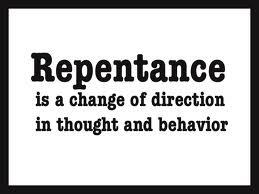 What about spiritual deliverance under God? How can a legal entity deliver God’s church?—I forgot, he said “deliverance to your ministry as a whole.” [Emphasis mine]. So by violating fundamental Bible principle for church organization “your ministry” can be delivered? Notice, as you read the alleged benefits, that he gives no understanding under the so-called explanation as to “how the Corporation Sole can bring legal deliverance to your ministry as a whole.” He just says that it will do so. Corporation sole status combines church and state. (1) How can the corporation sole bring religious freedom of speech back to the church since the corporate sole organization is to comply with all but a very few requirements of the extensive Oregon non-corporation law? (2) How can the corporation sole bring religious freedom of speech back to the church since the corporate sole non-profit corporation renders the church a legal entity just as does any other non-profit corporate state law organization? (3) In short, how can the corporation sole bring religious freedom of speech back to the church while at the same time putting the church under the state? (See Chapter 1: Legal Entity Status and the Corporation Sole), whereas a church which is not under state authority has all her First Amendment rights including freedom of speech. The answer to all three questions is that the corporation sole cannot bring religious freedom of speech back to the church. It cannot do so because it takes religious freedom from a church. As a sidenote, an Affidavit is not the highest form of evidence a person can bring forth into any courtroom (not just a Federal courtroom) in America. Live testimony is the highest form of evidence since it is subject to cross-examination and is judged by the trier of fact (the judge or the jury, as the case may be) as to its veracity. An affidavit is not acceptable evidence in a trial; only live testimony of a fact witness will be heard since the opposing side has the right to cross-examination, and it is impossible to cross-examine an affidavit. Disputes brought under the contracts created by incorporation, including corporation sole, will be heard in a courtroom in the state of incorporation. Church Establishment Affidavit then continues with an “explanation” which is not an explanation at all, but a pure exercise in postmodernism. It is so ridiculous to the knowledgeable reader that it, as does the entirety of the website, completely discredits the “Church Freedom and the Corporation Sole” organization. The above quoted paragraph from Church Establishment Affidavit, has many flaws, some repeated and addressed already in this analysis. 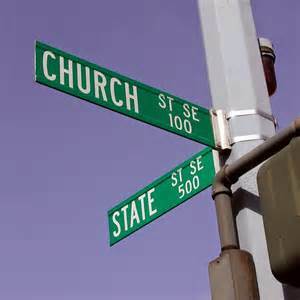 The church establishes herself as a legal entity by legally executing the paperwork which created the contract between the church and the state of Oregon, the contract between the members of the church and the church, the contracts between the members themselves, and the contracts between the members and the state (See Separation of Church and State/God’s Churches: Spiritual or Legal Entities or Section VI of God Betrayed for an explanation of the law which makes this clear.). Furthermore, any church, no matter how organized, may claim 26 USC 508(c)(1)(a) tax exemption even though a New Testament church gives up her New Testament spiritual only status when she does so; the paragraph above from Church Establishment Affidavit does not explain that church 508 status brings the church under the rules that come with 501(c)(3). This is explained in detail in the article Church Internal Revenue Code § 508 Tax Exempt Status (Click link to go directly to that article.). Again, the church, as a legal entity, a non-profit corporation, created by the corporation sole law, is represented by one officer instead of several officers. Go back and study Introduction and Chapter 1: Legal Entity Status and the Corporation Sole for clarification. Furthermore, is one to believe that he can pick and choose the manners in which he is to violate God’s precepts? Is it OK with God for a church to submit herself to the state through non-profit corporation sole status, and then supposedly remove her submission to the state and submit herself to God by concocting, without understanding, a scheme which only purports to retain complete freedom when fact clearly shows that that corporation sole law which established the church as a legal entity gives the state who created her certain controls over her? 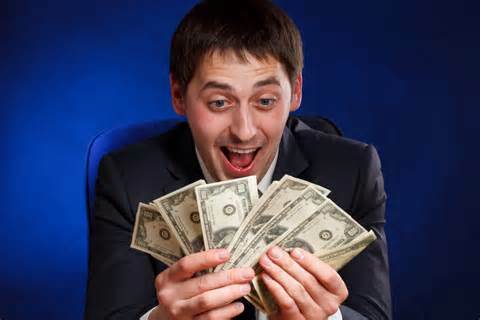 Does the church want to retain their givers who give only if they get a tax deduction (not because they love the Lord) by falsely propping up this worthless scheme? Does a person lose their tax deduction for giving to a church who is totally under God as opposed to a church who is a non-profit corporation (which includes the corporation sole church)? Separation of Church and State/God’s Churches: Spiritual or Legal Entities and Section VI of God Betrayed explain these tax matters in some detail, including what the Internal Revenue Code says about the deductions. All churches can help the homeless. 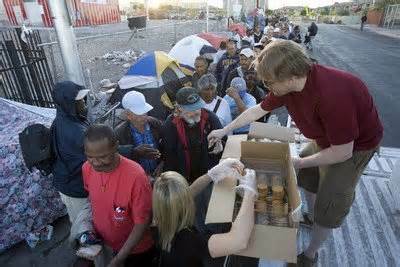 Now, let us examine supposed Benefit #2 – Local Cities and Governments Can No Longer Impose Permits, Fines and Penalties to Churches for Helping Feed the Homeless. Again, this is so disjointed and full of false statements that it is very difficult to analyze. Of course, everyone knows that people will be moved when one alleges, against the truth, that his scheme will allow a church to help the homeless, an opportunity to gain sympathy for the deception. The corporation sole is a non-profit corporation under the law of the state of Oregon (in this case). Therefore, corporation sole organization will have no effect on the ability of the church to do these type of good deeds without meeting the requirements of law. (See Chapter 1: Legal Entity Status and the Corporation Sole. See the index of God Betrayed for Hale v. Hinkle.) As the article states, “ALL incorporations (including incorporated Churches) are all considered to be, ‘Creatures of the State’.” The corporation sole church is an incorporated church and a “creature of the state.” (Ibid.). In the 1980’s the church I was saved in and a member of went downtown and fed the homeless for several years. The city tried to stop us by citing the pastor. The church was not incorporated as a non-profit corporation. Yet, after citing the pastor 80 or 100 times, the case finally went to trial and justice prevailed. The same result would have occurred had the church been a legal entity or not. The church was not charged with a crime, the pastor (who was leading the effort) was charged. A church is not incorporated under 501c3. A corporation sole church is incorporated under state law, in this case Oregon Non-profit Corporation law. A church who applies for 501(c)(3) under federal law does not lose her 508(c)(1)(a) status. No church has 508(c)(1)(a) status unless she claims it; there are several ways in which churches can do this. By claiming 508 status, a church gives up her First Amendment only status. She does this by putting herself under a law as opposed to under the First Amendment. The First Amendment says, in relevant part: “Congress shall make no law respecting an establishment of religion or preventing the free exercise thereof.” 508 is a federal law respecting an establishment of religion and which prevents the free excercise thereof. When a church claims 508 status, she has put herself under a federal law, thereby revoking her First Amendment non-taxable status. 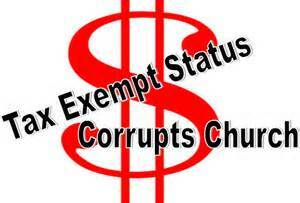 Applying for 501c3 tax exempt status and claiming 508 automatic exemption status affect the church in the same manner. Again, this is explained in the article Church Internal Revenue Code § 508 Tax Exempt Status. The statement “The Church reformed with a Corporation Sole is now able to be completely immune from these type of penalties because it is no longer incorporated (nor considered a creature of the state) and is under the better law of 508(c)(1)(a) instead of 501c3” is utterly ridiculous, at best. Of course it is still incorporated and a creature of the state. The church applied to the state for non-profit corporation sole status as controlled by state law. And, as explained in preceding paragraphs and the linked to article, the 508 church must meet the same requirements as the 501c3 church in order to maintain her tax status. One Man Board of Directors. Of course, the phrase relied upon in the statute, “no part of the net earnings of which inures to the benefit of any private shareholder or individual” has nothing to do with establishing a “polity body (aka a Board of Trustee’s, Board of Directors, Board of Elders and etc.”) in a corporation. The corporation statute of the state of incorporation establishes a corporate “polity body” of corporations created thereunder. 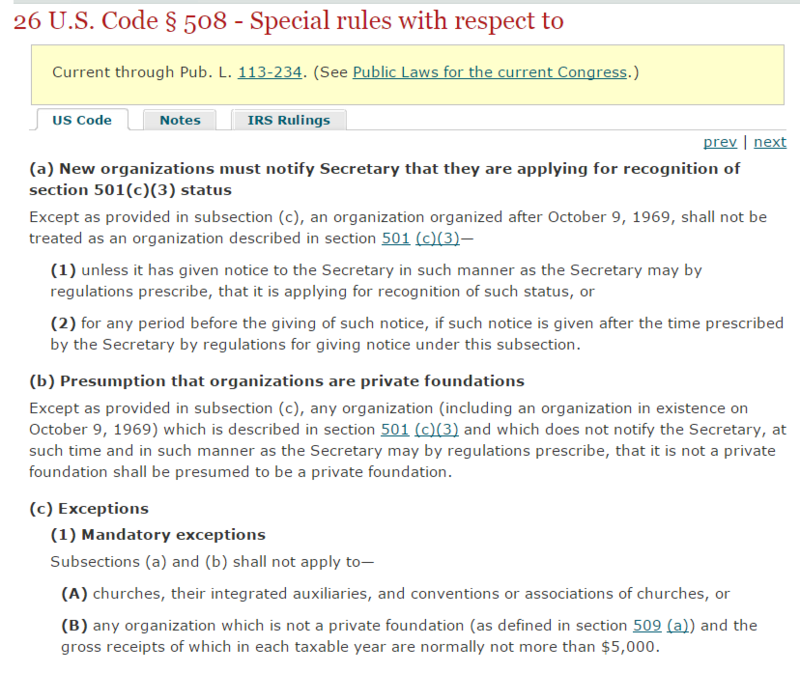 501c3 was not enacted until 1954. The law of incorporation came long before that and provided for a Board of Trustee’s, Board of Directors, Board of Elders and etc. The Corporation Sole also has a long history, as pointed out on the website being examined at: The History of the Corporation Sole (I have not examined that article for accuracy, but the Corporation Sole does have a long history.). The clause in 501c3 had and has absolutely nothing to do with the body polity of any corporation including the corporation sole. There is a correct way to establish the pastor as overseer of God’s money and property, and the correct way is not the establishment of any kind of church corporation including a corporation sole. This is explained in the my writings already cited. Alleged “benefit # 4” is so completely dishonest that it grieves not only the Lord, but also this author, to know that believers fall for this con. From p. 3 of IRS Pub. 1828. Click image to go directly to publication. “(2) for any period before the giving of such notice, if such notice is given after the time prescribed by the Secretary by regulations for giving notice under this subsection. “Except as provided in subsection (c), any organization (including an organization in existence on October 9, 1969) which is described in section 501 (c)(3) and which does not notify the Secretary, at such time and in such manner as the Secretary may by regulations prescribe, that it is not a private foundation shall be presumed to be a private foundation. Please notice the blatant dishonesty of the Church Freedom and the Corporation Sole website. They quote only a portion of the law and then take that portion out of context to mean something that it does not mean when taken in context. They leave out (a)(1) and (a)(2), and (c)(1)(A) which when taken together with (a), as they have to be to understand the true meaning. When the relevant sections are all considered, they make clear that churches are excepted from the (a) and (b) notice requirements of other non-church non-profit organizations. Their ridiculous conclusion – “With key emphasis on the writing of the law that states, SHALL NOT BE TREATED as an organization described in section 501(c)(3)”- is also totally unfounded. Again, for an accurate understanding of 508 status, I urge the student to go to and study Church Internal Revenue Code § 508 Tax Exempt Status. More ridiculous statements. The quote from Subsection (c) does not mean that the church is immune to ALL forms of taxation. Subsection (c) deals with only the matters within its context. Yes, churches, no matter how organized, do not have to pay sales taxes, excise taxes, and other forms of taxes, but those matters are covered by state laws, not the Internal Revenue Code which is federal law. (iii) the exclusively religious activities of any religious order. “The church falls underneath the jurisdiction of subsection (i) while the Corporation Sole falls under the jurisdiction of subsection (iii) as it is operating and exclusively acting on the behalf of the religious order that manages the Churches assets. I cannot believe what I am reading. First, he gets the nomenclature of the statute wrong. He says 26 USC 6033(c)(a)(1-3) but the correct nomenclature is 26 USC 6033(a)(1-3), no big deal. However what follows in the above is a big deal. 26 USC 6033(a)(3)(i) clearly says that churches are mandatory exceptions to the filing requirement in 26 USC 6033(c)(a)(1). Thus churches, whether incorporated (corporations sole or otherwise) are subject to the same IRC rules and IRS regulations. “Traditional 501c3 churches” and corporation sole 508 churches do not have to file. Non-incorporated, non-501c3, non-508 churches (First Amendment) churches do not have to file (See Church Internal Revenue Code § 508 Tax Exempt Status for explanation.). is nonsensical, facetious, and false. The corporation sole is not a religious order that manages the churches assets. The law makes clear that the corporation sole is a non-profit corporation (a legal entity) and that corporation sole status makes a church a legal entity (Review, e.g., Chapter 1: Legal Entity Status and the Corporation Sole and Appendix A: What is a Corporation Sole for explanation). The above quote is saying that the law by which a church becomes a legal entity non-profit corporation for which the pastor acts as the only officer is magically transformed by the above ridiculous rhetoric. Obviously, the corporation sole church is in the same position as she would be in as any other non-profit corporation church as to these matters and the two alleged “ENORMOUS benefits” that “traditional 501c3 churches” do not get to enjoy are nonexistent. “ALL other laws that govern the Church that have been made in addition to these two commandments are MAN MADE By-Laws and are NOT from the Holy Spirit. These man-made by-laws do nothing but show us someone else’s personal standard of holiness and serve to do nothing more than bring forth both condemnation and a spirit of religion. In fact, By-laws in there very nature defy the scriptures of both Romans 14:22 and Colossians 2:14-15! We’ve witnessed Churches here at The Empowerment Center that deny membership access to Christians because the husband drove a beer truck to provide income for his family! Not that he was drinking the beer, but simply because he DROVE THE TRUCK. By-Laws have directly influenced Churches across the nation to separate from the fellowship of all Christians and bring forth unnecessary doctrines. Certain denominational by-laws state that you MUST be baptized in water in order to be saved, while others claim that you need to be baptized in the fire of the Holy Spirit and speak in tongues! So, who is right and who is wrong? These By-Laws do NOTHING but create both confusion, disorder, separation and death to the fellowship (1 Timothy 1:4-7 and 2nd Timothy 2:14). ORS § 65.067(3). Click the above image to go directly to the law. “65.067 Corporation sole. (1) An individual may, in conformity with the constitution, canons, rules, regulations and disciplines of a church or religious denomination, form a corporation under this section to be a corporation sole. The corporation sole is a form of religious corporation and differs from other religious corporations organized under this chapter only in that the corporation sole does not have a board of directors, does not need to have officers and is managed by a single director who is the individual who constitutes the corporation and is the corporation sole’s incorporator or the successor of the incorporator. “(2) The name of the corporation sole is the same as the office within the church or religious denomination that the incorporator holds, followed by the words “and successors, a corporation sole. ORS § 65.061. Click above image to go directly to the law. “(1) The incorporators or board of directors of a corporation, whichever completes the organization of the corporation at its organizational meeting, shall adopt initial bylaws for the corporation. Thus any church who adopts the corporation sole form of organization and who does not adopt bylaws is in violation of the law. The church violates the law because she becomes a legal entity by voluntarily seeking and obtaining corporation sole status. As a legal entity, she can sue, be sued, enter into contracts, etc. Again, she entered into a contract when she accepted the state non-profit corporation sole offer. (See Church Internal Revenue Code § 508 Tax Exempt Status for clarification.). should they not be incorporated in any way, they could believe and practice their religion without any writing except the Bible. Finally, a corporation sole cannot get around the law of incorporation above by using a Statutory Declaration of Church Establishment Affidavit. That is so obvious that to contend otherwise is patently absurd, as are other Church Freedom and Corporation Sole matters. Wikipedia. Click above image to go to the Wikipedia page. The above is all that is said about this alleged benefit. One would suppose that the alleged benefit of this “legal instrument” for the corporation sole is to provide capital or to act as a source of finance to the creditors of the corporation sole. This author is not going to waste his time explaining all the ways in which this scheme violates New Testament church principle since any believer who has read his Bible should be able to figure this out. Property tax exemptions, sales tax exemptions, and what ever the “and more” tax exemptions are are all the product of state law. 501c3 is a federal law. 501c3 has nothing to do with state tax law provisions. Any church, whether a legal entity or not, is granted property tax exemptions “and more.” Churches who are not legal entities are granted such exemptions—this author has personal knowledge of this and knows of many churches who are not legal entities and who do not pay sales taxes, property taxes, etc.. Of course, an incorporated church such as a corporation sole church pays no such taxes. So this benefit is no benefit all. The Church Freedom and the Corporation Sole website does here recognize that the Corporation Sole “is considered a 501c3 because it is incorporated“), which contradicts teachings covered above which state that the corporation sole church is a IRC section 508 church. No church has to give a receipt acknowledging their gift. The law requires no church to give an acknowledgement for gifts. If you disagree, I challenge you to show me that law – there is none. I deal with this issue often in discussing the right way for a church to organize according to the New Testament (and the right way is not any kind of non-profit corporation including the corporation sole.). The sad thing about this alleged benefit is that the corporation sole church has no reason not to give an acknowledgement since, if she claims 508 status, she is a legal entity who is subject to the rules of 501c3. See “5. Analysis of Alleged Benefit # 4” above, Corporation Sole and Internal Revenue Code §§ 501(c)(3) and 508, and Church Internal Revenue Code § 508 Tax Exempt Status. 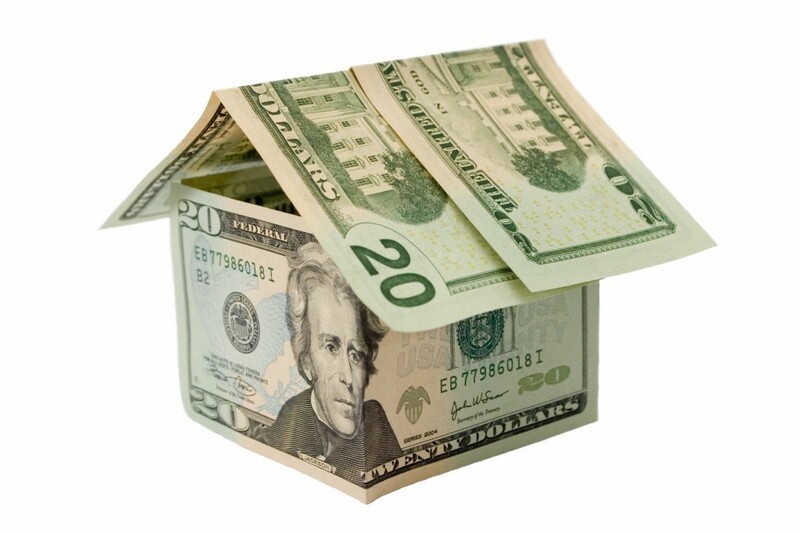 Any corporation, including any non-profit corporation such as a corporation sole, can buy and sell property. That is one of the attributes of being a legal entity. Since the corporation sole church becomes a legal entity by means of the corporation sole statute, the church is the legal owner of the property, although only one church member acts to fill all offices of the corporation sole. Let me first deal with the recitation of the First Amendment in this context. As any believer who understands the history of that Amendment knows, it came about as a result of 17 centuries of persecution (including hanging, burning at the stake, beheading, drowning, live burial, cruel torture) of martyrs who refused to profane God’s truths. This alleged benefit desecrates the holy as does this entire Church Freedom and the Corporation Sole website. Church Freedom and the Corporation Sole website is here advising people to dishonor God’s precepts for the ordered church and also to use “religion” to protect their personal assets. People may declare themselves to be a “church” according to the 14 Internal Revenue Code criteria, but meeting the requirements of those criteria may be difficult for one who is just concocting a scheme to avoid probate law. Instead of keeping the church pure under God, as any believer who loves the Lord wants to do, this scheme uses man’s law to define their “church” and their motivation is to protect assets while dishonoring God. (American Guidance Foundation, Inc. v. United States, 490 F. Supp. 304 (D.D.C. 1980)). “In addition to the 14 criteria enumerated above, the IRS will consider ‘[a]ny other facts and circumstances which may bear upon the organization’s claim for church status.’ Internal Revenue Manual 7(10)69, Exempt Organizations Examination Guidelines Handbook 321.3(3) (Apr. 5, 1982).” (88 T.C. at 1358). Again, another alleged benefit profanes the holy, and actually testing this benefit may result in bad IRS consequences. They give the attributes of any legal entity, including those of a corporation sole which is a non-profit corporation. Who will represent the corporation sole? The pastor, as the one officer? One of the church members? Anyone can represent themselves in court. However, a person cannot represent another person in court. Furthermore, legal matters can be very complicated substantively and procedurally. The old adage “he who represents himself in court has a fool for a client” should be considered. “Person (Be) 1. A human being. Also termed natural person. From p. 75 of God Betrayed. Click above image to go to PDF of the book. The legal argument proposed in the last paragraph would be laughed out of court. This has already been settled. I covered this in God Betrayed/Separation of Church and State: The Biblical Principles and the American Application (2008)(Click here to go to the online PDF of the book.). The following is from pages 375-376 of that book. The incorporated church [such as a non-profit corporation sole church] is an artificial person and a separate legal entity. This has many ramifications. “The corporate personality is a fiction but is intended to be acted upon as though it were a fact. A corporation is a separate legal entity, distinct from its individual members or stockholders. “The basic purpose of incorporation is to create a distinct legal entity, with legal rights, obligations, powers, and privileges different from those of the natural individuals who created it, own it, or whom it employs…. “A corporate owner/employee, who is a natural person, is distinct, therefore, from the corporation itself. An employee and the corporation for which the employee works are different persons, even where the employee is the corporation’s sole owner…. The corporation also remains unchanged and unaffected in its identity by changes in its individual membership. (18 AM. JUR. 2D Corporations § 44 (2007)). “[T]here is a clear distinction in this particular between an individual and a corporation, and that the latter has no right to refuse to submit its books and papers for an examination at the suit of the State. The individual may stand upon his constitutional rights as a citizen. He is entitled to carry on his private business in his own way. His power to contract is unlimited. He owes no duty to the State or to his neighbors to divulge his business, or to open his doors to an investigation, so far as it may tend to criminate him. He owes no such duty to the State, since he receives nothing therefrom, beyond the protection of his life and property. His rights are such as existed by the law of the land long antecedent to the organization of the State, and can only be taken from him by due process of law, and in accordance with the Constitution. Among his rights are a refusal to incriminate himself, and the immunity of himself and his property from arrest or seizure except under a warrant of the law. He owes nothing to the public so long as he does not trespass upon their rights. When a church incorporates or becomes a legal entity, that church contracts with the state gaining certain “protections” but gives up certain constitutional rights. She takes herself partially out from under First Amendment protection, and puts herself, for some purposes, under the Fourteenth Amendment. While a corporation must “obey the laws of its creation,” it also has constitutionally protected rights. (See Ibid., pp. 74-75). Only the church who is not satisfied with the freedom and provisions afforded the church by God (which, by the way, are implemented by the First Amendment) seeks incorporation. For the incorporated church, God’s provisions are not adequate. Although perhaps the individual church member seeks incorporation for protection by civil government as opposed to protection by God, that member forgets that God is a far more strong and benevolent protector than the state. Furthermore, when a church is not a legal entity, that church cannot be sued. One can sue a legal entity such as a corporation, but how does one sue a church who is “a spiritual house made up of spiritual beings offering up spiritual sacrifices, and not a physical house made by man?” (See Section II of God Betrayed). Individuals, including members of a New Testament church, can be sued for tortious actions or tried for criminal acts, but a New Testament church cannot be sued or tried for criminal acts.